They say you look your best when you feel your best, because no matter what you wear, confidence shines through. I’m all for that motto, though it doesn’t hurt to have some smart, statement-making outfits on standby as party invitations flow in come the holidays. 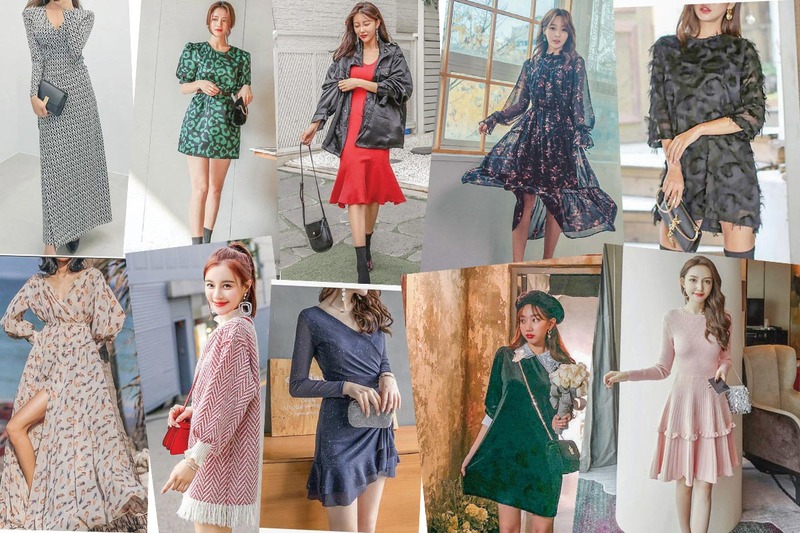 These party-ready dresses are picked for various fashion moments: When you want to sparkle, rock some ruffles, show off those pins and so on. All that’s left is to accessorize generously. Let the party season begin! The wrap-style front, ankle-length skirt and tie-waist make this maxi dress a flattering piece. Not to mention the neat monochrome print that’ll surely add an eye-catching element to any ensemble. Let me remind you that holiday season is the perfect time to give loud prints (and bold colors) a try, and this relaxed-fit mini dress is a fantastic choice to start. The oversized leopard spots are great for channeling your inner maximalist. Layer a black jacket over it and team with solid sock boots that are comfortable enough for dancing. You’ll feel like a bombshell wearing this dashing red midi dress. The ruffled hem adds a playful mood to the look, while the ribbed finish and gentle V-neck elevate the festive vibe. Throw on a crop pleather jacket and your favorite black boots, and you’re ready to party! This easy, breezy midi dress is comfortable yet elegant. With all the frills and ditzy florals, it’s an effortless companion to suede boots and a chunky cardigan to bundle up in style. I’ve a feeling we’ll be seeing a lot of feather-accented outfits at this year’s festive occasions. If you’re getting a simple black dress, go for one with feather details. Effortless, versatile yet statement making, this boxy shift is something one would find in the closet of a stylish Parisian. If you’re feeling bold, team with a faux fur coat for the ultimate day-to-night party look! This print maxi proves that baring skin in winter can be quite glamorous. While the wrap-front design shows quite a lot of leg, the long-sleeved silhouette and maxi length speak to the colder weather. Just throw on a trench coat and ankle boots for a fun night out. This lovely knit dress convinces me that not all holiday sweaters are ugly. Just look at its festive color and those cute fringe trims! Whether you style it with tights and ankle boots or go all out with over-the-knee boots, this is one comfy number you’ll enjoy wearing during and after parties. Is it the general holiday mood or the party invites? I’ve been thinking about glitter and glittering dresses. They’re the perfect festive statement, and the sultry wrap-around design of this frilled dress means accessorizing won’t require too much thought. Nothing can beat a cozy gray sweater dress, but sometimes we have to switch it up. That’s when standout pieces like this emerald green shift come in handy. With luscious sheen from the velvet fabrication, can this color look any better? Also, look at how it makes the lace collar pop! With its A-line shape, subdued pastel hue, neat pleats and frilled trims, this demure dress would look good on everyone. Not only is it effortlessly figure-flattering, but it’s also perfect for work and play. This monochrome number is one worth investing in. All you need is a pair of flirty strappy heels.